THE FACTS – On the morning of Thursday, April 11th, women defenders Marlene Pastrana, Karina Aguilar, Ancelma Escobar and Sulema Mendoza, along with their comrades Félix Pedro Pastrana, Erasmo de Jesús Pastrana, Kevin Edilberto Gómez and Noesis Gómez, received subpoenas to appear before the Police Investigatory Division (DPI) in Choluteca. With no advance notice, the eight persons were arrested upon arriving at the DPI and charged with the alleged crime of damage to the Forovoltaica Solar Energy Company, in a blatant show of bad faith on the part of the entities responsible for seeing that justice is done. 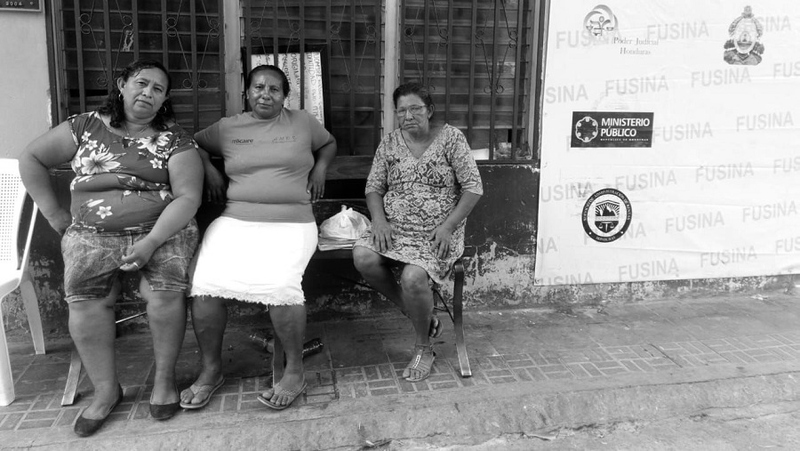 The women defenders and their comrades are members of the Costa Azul community in the municipality of Namasigue, Choluteca, who are waging a struggle against the complainant company because its power plant is causing damage to the environment and significantly reducing the community’s water supply. 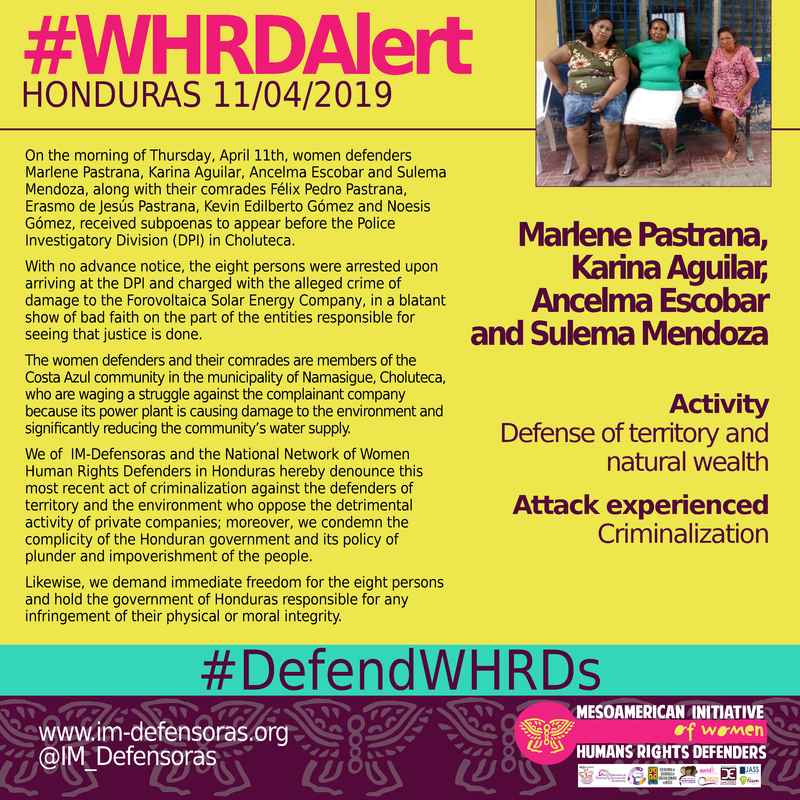 We of IM-Defensoras and the National Network of Women Human Rights Defenders in Honduras hereby denounce this most recent act of criminalization against the defenders of territory and the environment who oppose the detrimental activity of private companies; moreover, we condemn the complicity of the Honduran government and its policy of plunder and impoverishment of the people. Likewise, we demand immediate freedom for the eight persons and hold the government of Honduras responsible for any infringement of their physical or moral integrity.